Here we have an exceptionally clean, nearly unused, Corvette promo model. 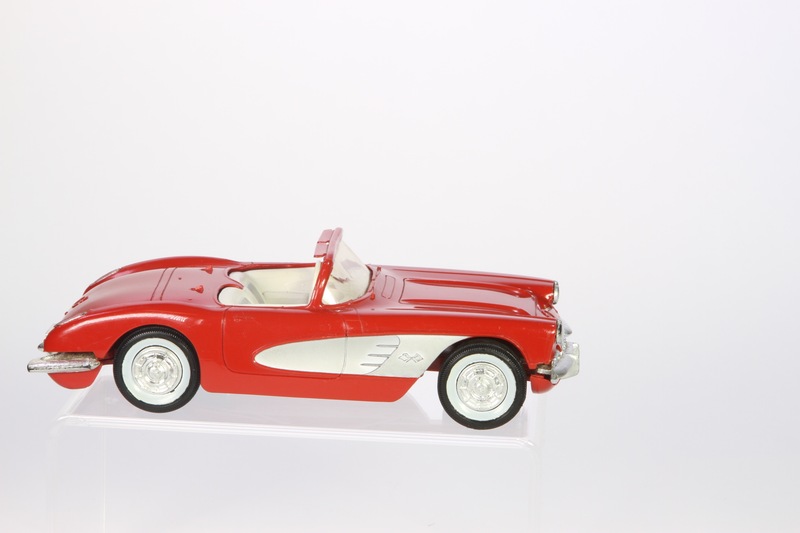 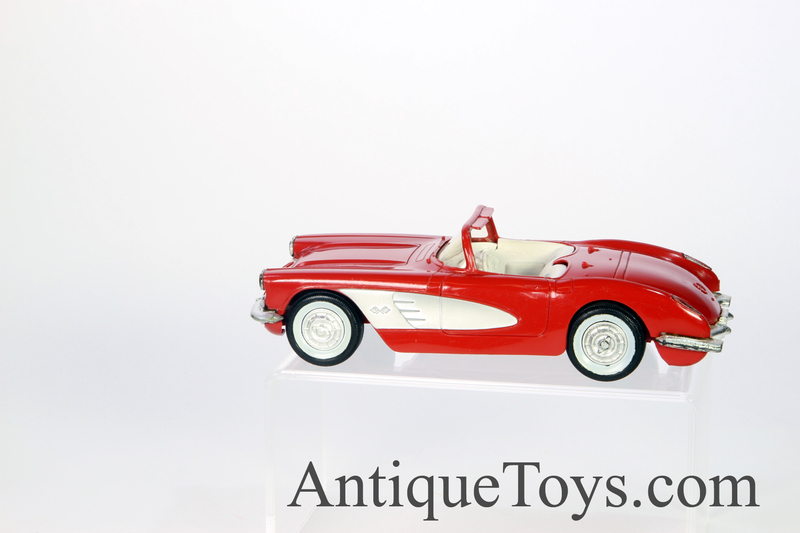 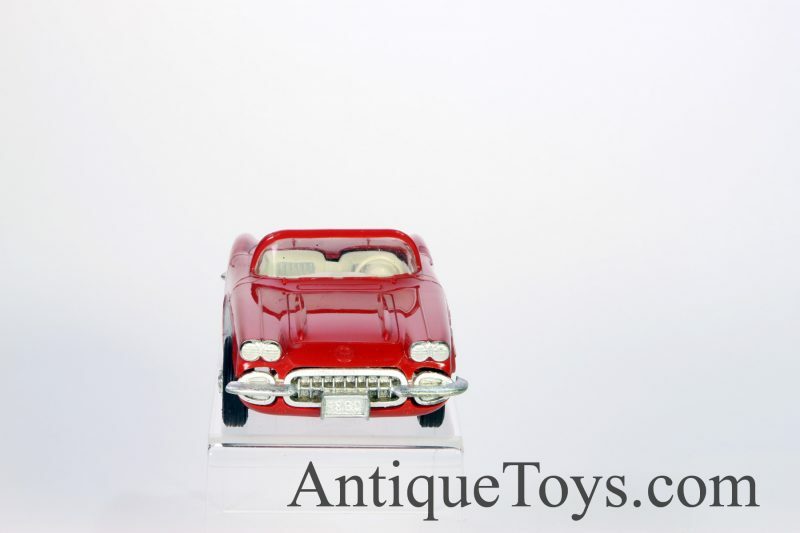 It is the 1960’s Corvette in a beautiful red with white coves. 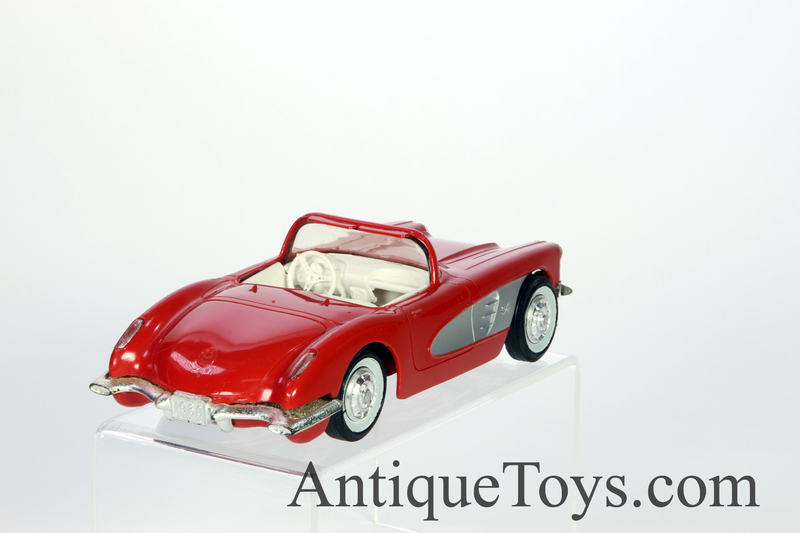 Unlike most seen for sale, this one has the delicate red window frame still intact with visors. 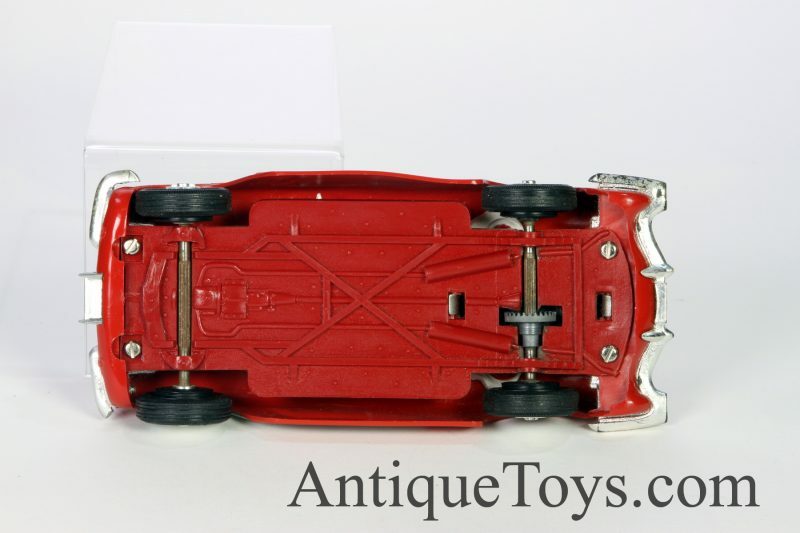 The toy or promo actually has a friction motor so it can roll forward with momentum and by using a flywheel.